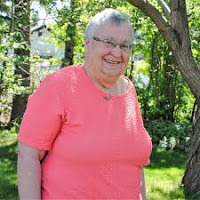 Joyce Sasse, Spiritual Gleanings - I grew up in a context where quality of food and good cooking went hand-in-hand. A recent radio discussion, about bake sales and (some) modern-day women, has brought memories to mind. I remember my family visiting my home on another student field: where the out-house was in the neighbour’s yard, water had to be carried from the village well, and you had to choose between using the two elements or the oven of the tiny electric stove. Mother’s production of a good meal, while I was teaching Vacation Bible School, was quite an accomplishment. Dad carried buckets of water. There was one community where the ladies regularly sold everything at their bake sale in less than ten minutes. Watch out for elbows! Good strategy in another community was to have a bake-table for the men – and bring their favorites. Grateful patrons offered somewhat larger “bills” and never asked for change. They especially loved the samplers served at their tea-table! How food fads have changed – in cook books, at bake sales and for lunch after church! Young mothers bring health bars and carrot sticks. But, as one mother confessed on the radio, when it comes to giving something to the Bake Sale cause, I hire my baking done. What place does food have in our lives? Is this something that is more important for rural people? Do we see opportunity to twin with the “new bride”, the person from another culture, and with our own children? Deep spiritual understandings can come in to focus as we exchange ideas and talk about our food practises.